Sometimes you’ll find that your DIY upholstery project may include decorative nail head trim. 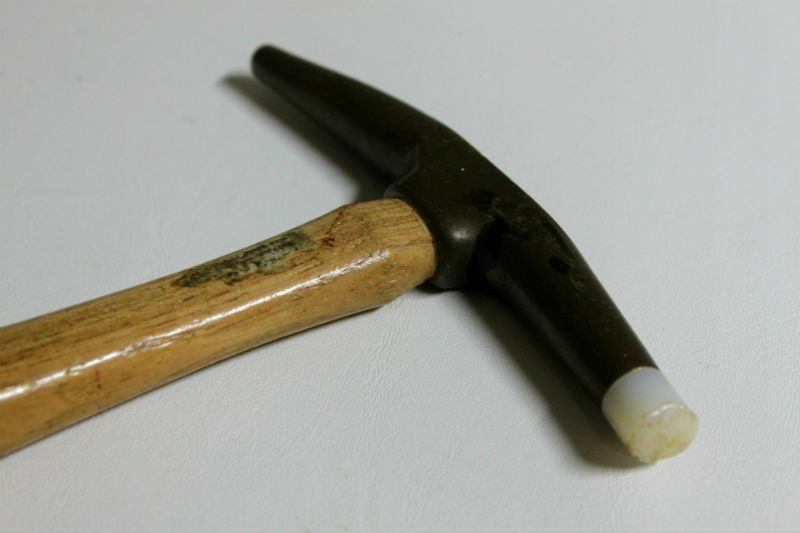 Traditionally, a nylon-tipped tack hammer is the best tool for this job because of its lightweight and non-abrasive tip. If you find yourself in a pinch or you’re not ready to invest in this specialty tool, use this easy one-step tip. To make your everyday hammer suitable for tacking decorative nail heads, simply use the felt pads you find under the legs of furniture. These little guys are found at most hardware and craft stores. They already come with a adhesive back to stick to the head of your hammer and can be easily removed when you are finished. 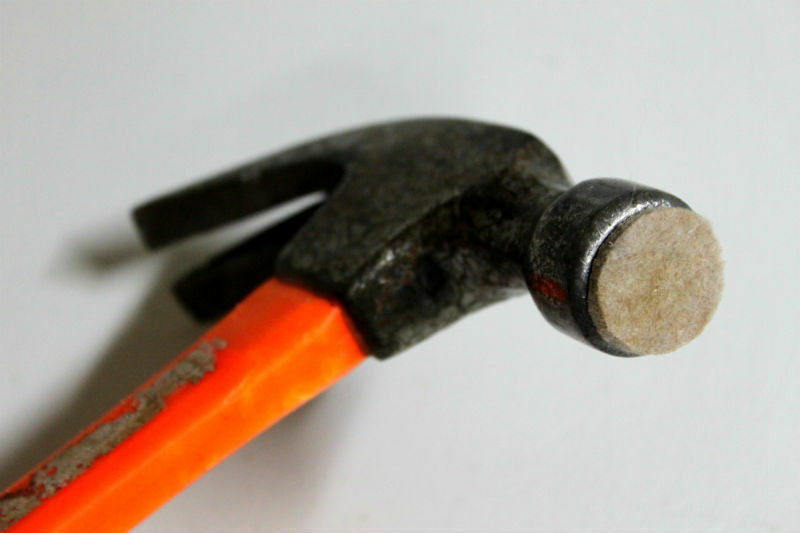 I would certainly encourage purchasing a tack hammer with a nylon tip if you foresee more than one project in need of tacking, especially if you’re tacking into a very hard wood or using a larger variety of decorative nail heads. Having the right tool for a job can also affect your morale and confidence when tackling a project. April 28th, 2014 posted under General, Katherine, Tips, Upholstery Tips.